Chocolate Almonds, you’ll eat them all! Chocolate almonds are a treat. But, at least, a healthy treat ;-). I can’t help, I am always paying more and more attention to what I eat. It’s like the mind parachutes phrase: your mind is like a parachute, once you open it, you won’t be able to close it back. I see such a lot of astonishing recipes that seems to be even successful, but I just can’t prepare them. I began to read or watch, and as soon as it shows something like 2 cups of sugar and/or butter, I pass by it. A couple of weeks ago I had a great lesson with my sister at New York Natural Gourmet Institute. We were commenting that the fact that as recipe/dish is considered healthy adds “taste” to it. In the sense that we really consider the fact of health while deciding and liking or not food. 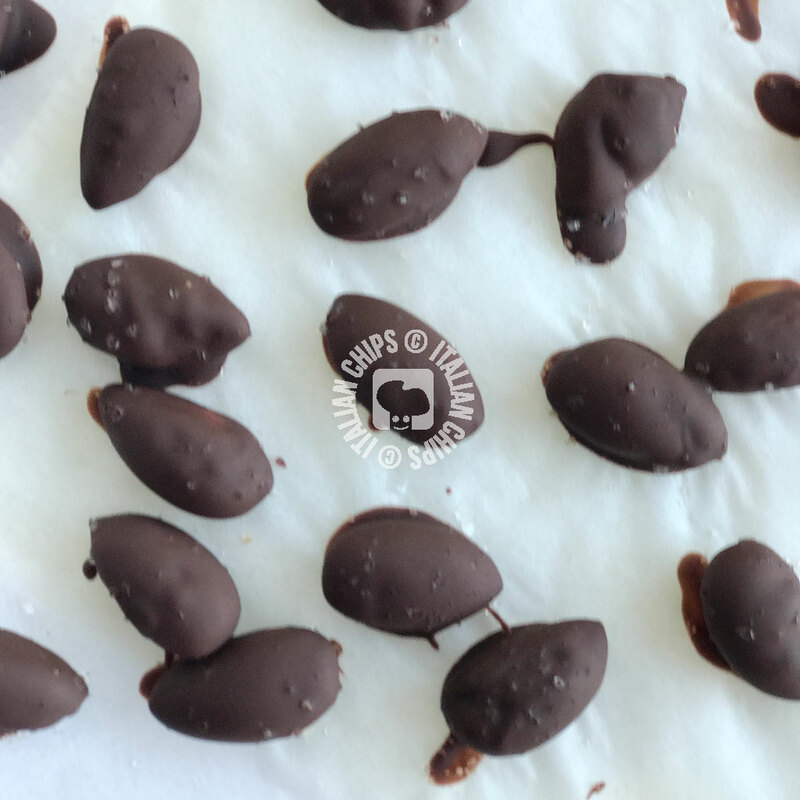 These chocolate almonds unifies almonds – that we should eat regularly – with dark chocolate (the best one as it has little sugar and more of the good components of cacao) and, at the same time you’re eating healthy, it is such a delicious candy that makes you feel happy twice, for its taste and for its healthy qualities. Just to add one more thing: it is very easy to prepare ;-). I found this recipe on Sally’s Baking Addiction blog. 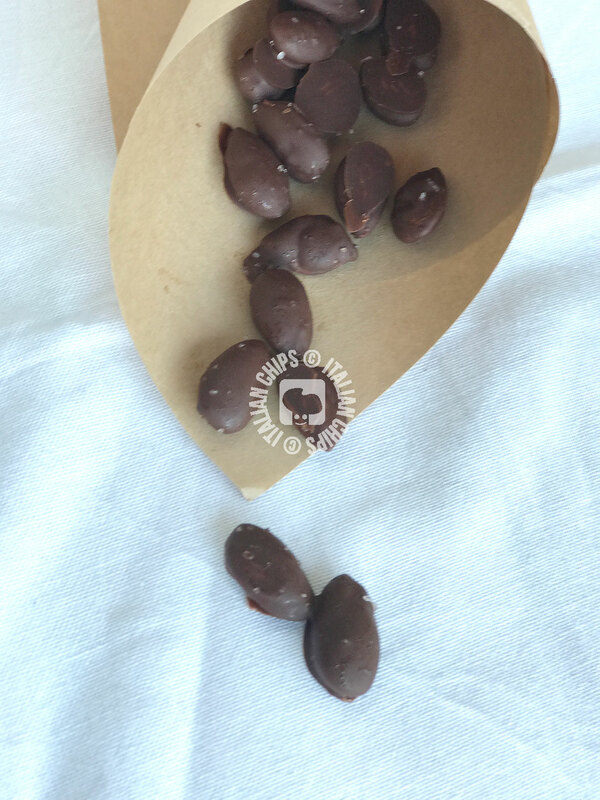 Prepare a sheet of parchment paper on a surface where you can put the chocolate almonds. 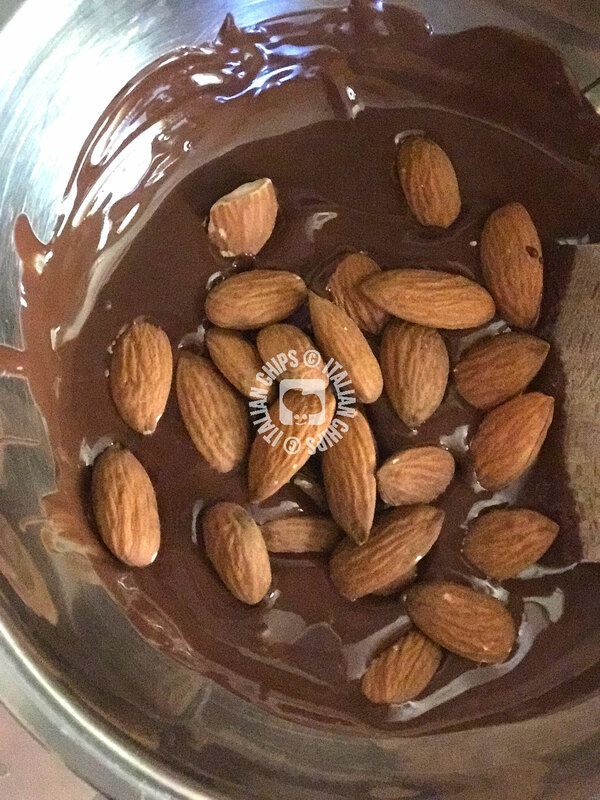 Melt the chocolate on bain marie (or microwave) and then add the almonds. Mix well until all almonds are copletely cover with chocolate. With two forks, take each almond, let it drain the chocolate in excess and lean it on the parchment paper. Repeat for ll almonds. Gently spread some salt flakes over them and so brown sugar. Refrigerate and serve whenever you prefer.